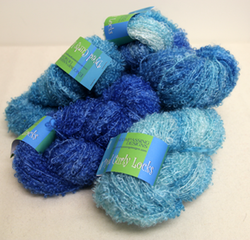 For all you sea lovers there is always a great selection of blue in the shop. Great for water, crests of waves, sky, flowers, you name it! Always a great selection of must need greens. Use for grasses, foliage and much more. Hand-dyed black curly mohair is perfect for sheep, hair, puffs of smoke, animals, faux fur. Hand-dyed, the sooty look is perfect for old world Santa beards, hair, sheep, animals, etc. Lovely soft mohair. for tufts of grass and foliage. Hand-dyed Mossy Green is perfect for grass and foliage. A little goes a long way.